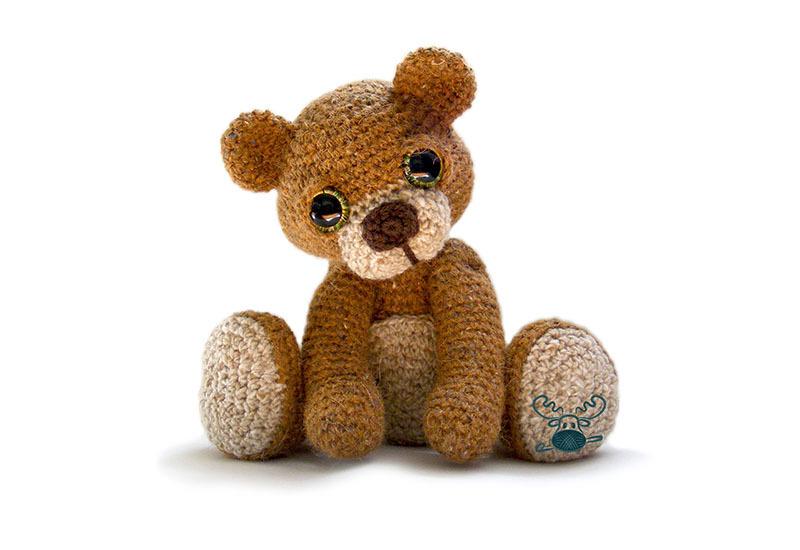 This little cutie can be made from any DK, worsted or Aran yarn and appropriate size hook. 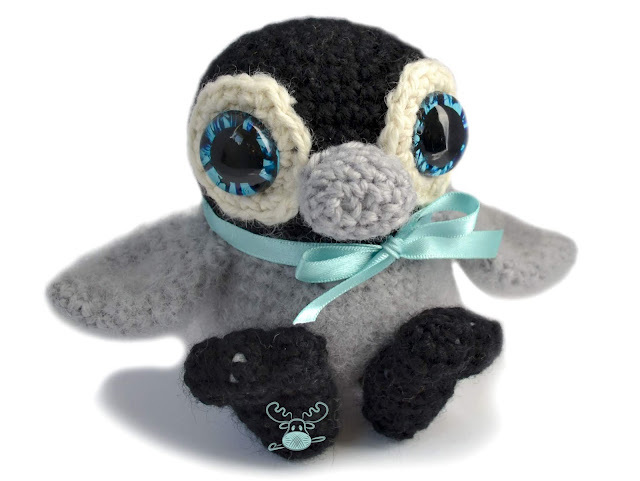 Why not join us for a Penguin Crochet-a-long on Ravelry in the Patchwork Moose Amigurumi group? Show us your little penguin, or see what everyone else has made. This pattern is available in US and UK Terminology. Just click on either link below for the pattern. These sleepy little lambs are the sweetest, quick and easy make. 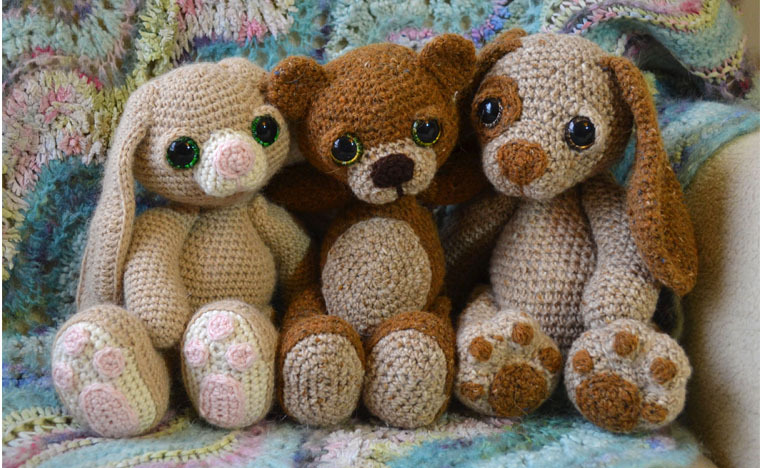 They measure about 4 inches in a DK yarn, but can be made from any weight yarn and appropriate hook for different sizes. This pattern is available in US and UK Terminology. 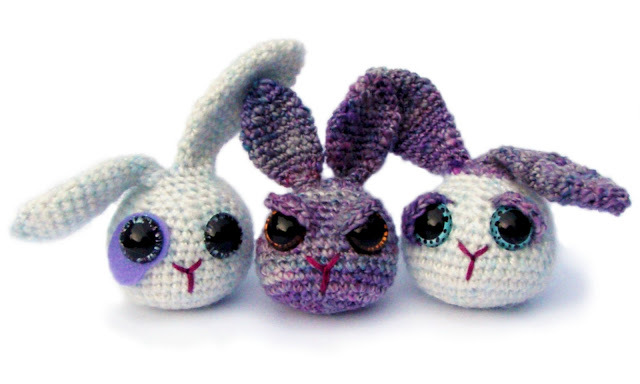 Just click on either link below for the pattern. 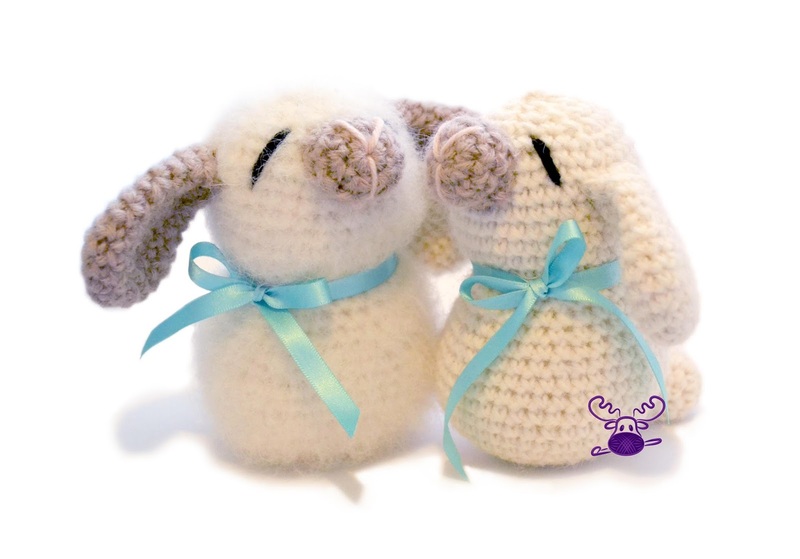 These dust bunnies can be made from any DK, worsted or Aran yarn and appropriate size hook.They measure about 3-4 inches (excluding ears) depending which yarn and hook you use. A perfect way to use up those yarn scraps! Just click on the link below for the pattern.